Blackbeard's Quest is an exciting pirate themed slot with 5 reels and 9 paylines. This is one of slotsbaby slots that you'll help the legendary Blackbeard find the hidden treasures within a mysterious island. You have to follow the map carefully if you want to find the golden filled treasure chest. 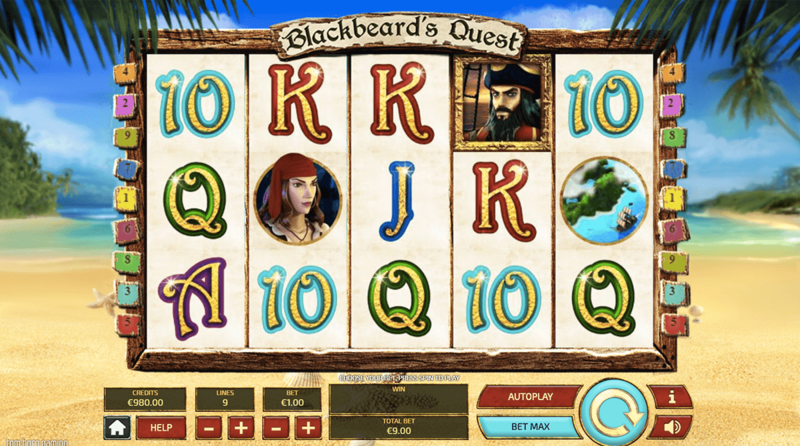 Blackbeard's Quest has lots of exciting features including wilds, scatters, extra wilds and retriggerable free spins. If you love mysterious pirate themed latest online slot games then you'll love Blackbeard's Quest! Get the best out of our casino slot promotions before you play the game! Help Blackbeard on his quest to find the coin filled treasure chest by following all of the clues on the island map. Put your pirate hat on and get searching! 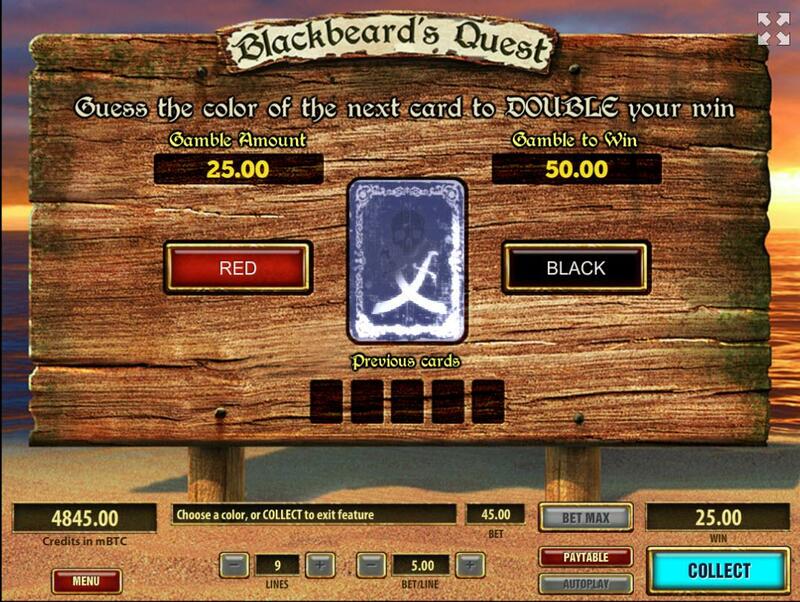 Blackbeard's Quest is a 5 reel, 9 payline slot which has a pirate theme. Behind the reels you will see a beautiful, calming landscape of a picturesque desert island. Sandy shores, calm blue sea and tropical trees make the ultimate dream destination. The symbols suit the pirate theme and include Blackbeard, a birds eye view of the island, a mighty pirate ship and 3 different treasure chests all filled with magical treasures. The Wild symbol - Blackbeard is the wild symbol in this slot and he replaces all of the other symbols on the reels. Blackbeard is there to help you create many great winning combinations when you complete a winning line. Free Spins - If you haven't already noticed, there are 3 treasure chests in this game. These take place on the 1st, 3rd and 5th reels. If you manage to land the treasure chests on these reels then you will get the chance to play the bonus game where 10 free spins will be unlocked. Throughout this round, the treasure chests will turn into additional wilds which will help create winning lines.